It’s been 11 whole years since the affable pig has made the spotlight on the lunar calendar, and Johnnie Walker wants to celebrate the return of the symbol of generosity, abundance, and good fortune in the best way it knows how. 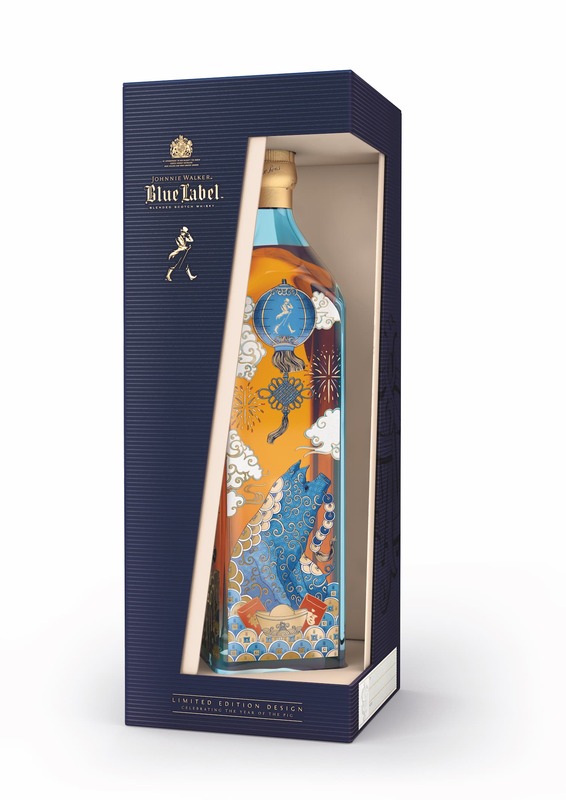 Aptly named the Johnnie Walker Blue Label Year of the Pig Limited Edition Design, the iconic bottle of the premium blend is transformed thanks to the delicate lines and intricate patterns by English illustrator Chrissy Lau. 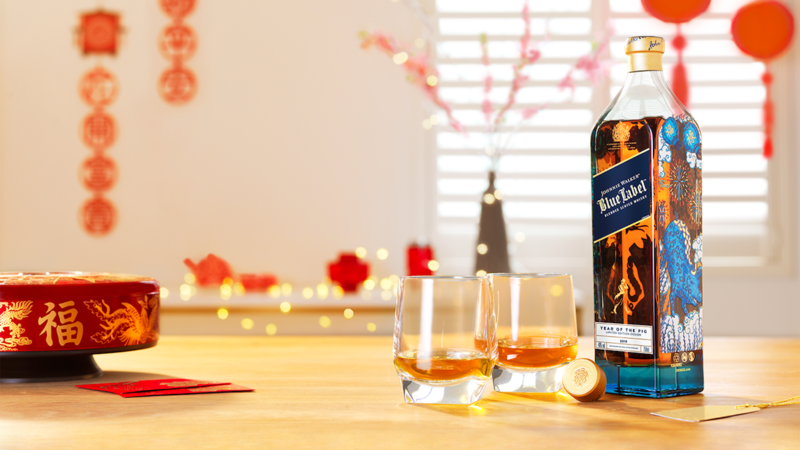 The limited edition Johnnie Walker Blue Label Year of the Pig. Illustrator Chrissy Lau applies her eclectic style of art to the iconic blend. The award-winning artist’s instantly-recognisable illustrations are often inspired by her Chinese heritage, making her the perfect candidate for the task of bringing the adorable critter to life. 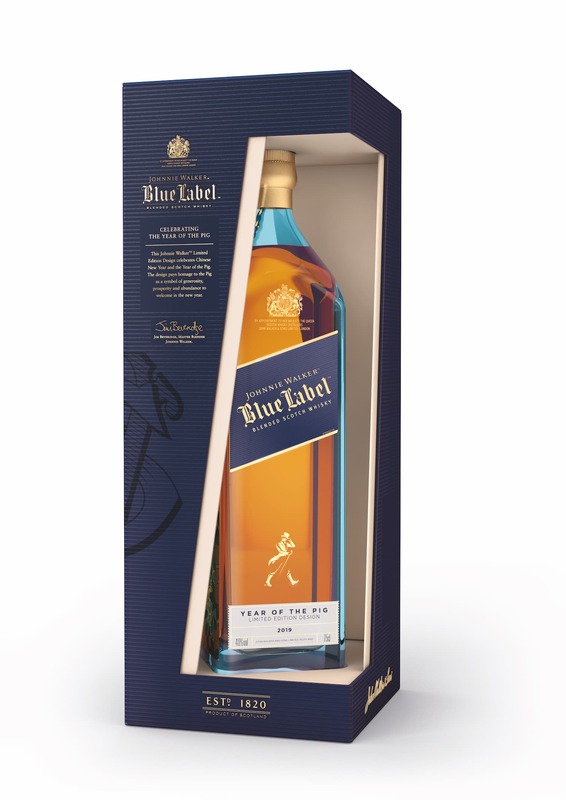 Crafted from rare, handpicked single malt and grain whiskies from the four corners of Scotland, the Johnnie Walker Blue Label is undoubtedly one of the best blended whiskies to elevate the sense of occasion. Alongside velvety layers of vanilla, honey, and rose petals, the decadence is amplified with a zesty orange flavour. Notes of hazelnut, sherry, and dark chocolate follow, and the experience signs off with a luxuriously long finish. Like most of its signature blends, expect Johnnie walker’s trademark smokiness to linger on your palate in the most sophisticated fashion. As you’d expect, only one in 10,000 casks in Johnnie Walker’s reserves make the cut to be a part of the hallowed Blue Label blend. Coupled with Lau’s strong distinctive illustration style, the Johnnie Walker Blue Label Year of the Pig Limited Edition Design is destined to not only be a collectible for aficionados, but also the perfect way of bringing family and friends together over the Lunar New Year festivities.